Synopsis: The Empire is informed of the upcoming invasion of Imperial territory by the Free Planets Alliance, as leaked by Adrian Rubinsky. The nobles decide to put Reinhard up to the task of repelling the invasion, hoping it'll take the fight out of him so they can finish him off at their leisure. On Heinessen, meanwhile, the fleet leaders meet to discuss the battle plan, proposed by overzealous officer, Commodore Andrew Falk, which Yang objects to. Reinhard assembles his admiralty on Odin, informing them of the clash ahead. This episode is the final ramp-up to the two-part finale of the first season of this show. 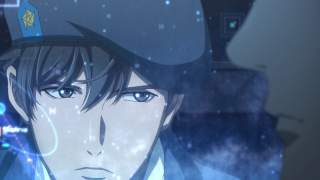 My guess is that the movies they're continuing the story with will be broken down into episodes, like Space Battleship Yamato 2199 and its sequel, for a second "season". I mean, if this show did well enough for that. I hope it does, because the second novel is the best material of this story arc. I do worry, though, because with only two episodes left, they have to cover three chapters. 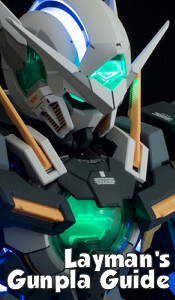 Perhaps with much of it being action, they'll be able to get it in the final two episodes. We still have the Battle of Amritsar and the reveal of Rubinsky's own manipulator. Speaking of the Black Fox of Phezzan, this episode sees him trying to balance the two super powers by informing the Empire of the oncoming invasion. Since the FPA took Iserlohn, they have too much power for his tastes, and he can't have them completely equal or he couldn't make as much money. If there was peace, it would inconvenience his plans, so he has to prod both sides, hoping to exhaust them to where Phezzan will be on top. Of course, the only person he seems to confide in is Dominique Saint-Pierré, who at this point is just somebody he can exposit to. You may wonder why one or both of the superpowers don't catch onto this, but remember that they're constantly thinking of war and how to gain an advantage over the other side. Even if people have suspicions (they do), Phezzan is already too powerful, economically, for them to stop doing business with. The higher ups in the Empire have no problem using Reinhard and his admiralty as human shields/buffers between them and the FPA's invading forces. Presumably they'd be aiding him only as much as they'd have to for him to do what they want. Now that Reinhard has made his way up the ladder, they want to gamble on using him and disposing of him before he gains any more power. But it's a pretty dangerous gamble that relies solely on the incompetence of the FPA. Hm, then again, maybe it's a pretty safe bet. Of course, the biggest event here is the introduction of one Andrew Falk, an young officer with ambitions and a one-sided rivalry with Yang. He wants to garner the same praise Yang has, but he's not nearly as gifted, even if he did well academically. He drafted the plan to invade the Empire, but it's a pretty nebulous plan in terms of strategy. 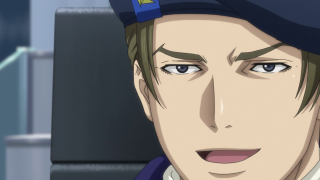 It seems like the FPA military is so confident in their win with Iserlohn, that they've gotten ahead of themselves. 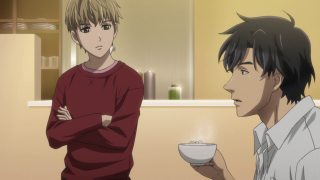 Yang is always pretty oblivious to any specific person who isn't within his circle, so he doesn't really care about Falk as much as he cares that they're charging in on a dubious plan. Unlike Falk, Yang doesn't care about glory or military rank, but the FPA thinks they can capture more lightning in a bottle by letting one of his peers plot the invasion. Almost as if they're saying to Yang, "You're not so special, look at what this guy with GOOD grades can do." Reinhard plans on luring the FPA into Imperial territory until they overextend their supply line and he can cut them off and crush them. It sounds like it would work, but more to the point, the man to his side is no longer Kircheis, but Oberstein. 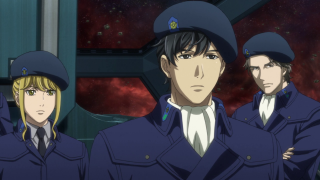 Kircheis has always been right by Reinhard, but now that he's one of Reinhard's admirals, while Oberstein is his staff officer. 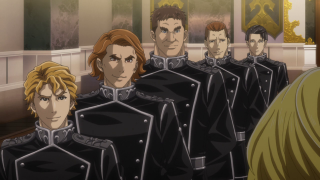 While obviously Kircheis is both closer to Reinhard personally, and outranks Oberstein, Oberstein now has Reinhard's ear more than his red-headed friend. It's worth noting the shot of Mittermeyer looking suspiciously at Oberstein as he walks up to explain the deployment, followed by Kircheis stoically staring. 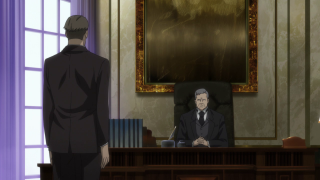 Obviously Kircheis trusts Reinhard more than anyone, and while he has his doubts about Oberstein, he will do his duty. The others, however, are more suspicious of Oberstein, despite Kircheis having more reason to be. It's almost like Mittermeyer is being suspicious on Kircheis' behalf. Anyway, it's a good episode, but it's not nearly as the political cynicism of the previous episode. It's basically a set up for the next battle. And that's okay. As long as the final episodes are full heat, that is.